Getting out for a run when it's cold, wet and windy is a challenge. 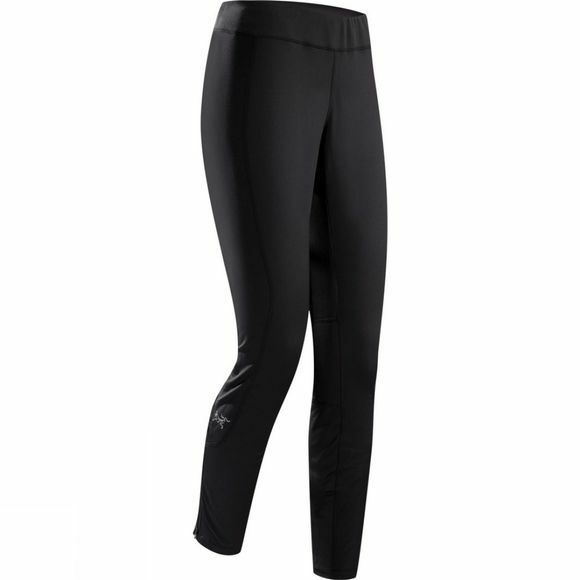 The Women's Stride Tights offer warmth on miserable days. With a great fit and a wicking, stretch-knit fabric, they are high performance, energy efficient tights. Flatlock stitching creates low profile seams that sit flat against the body, minimising bulk, reducing chafing and enhancing moisture management. Zips at the ankles allow you to easily take the tights off and on. Reflective blades improve your visibility to others in low light conditions. Keep life simple and organised with the zipped security pocket and two side stash pockets. No lost keys or cards.